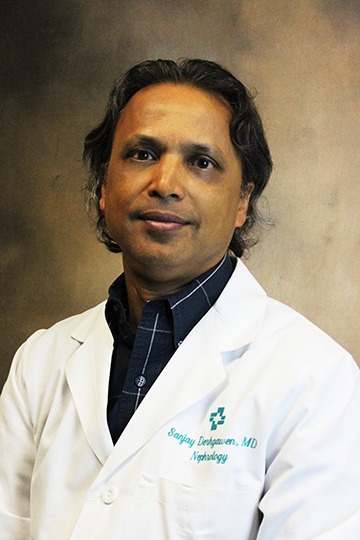 Dr. Sanjay Derhgawen is a board-certified nephrologist in the Nephrology department at Hattiesburg Clinic. He received his medical degree from Patna Medical College and Hospital at Patna University in Patna, India. He completed his residency at Summa Health Systems at St. Thomas Hospital in Akron, Ohio and a fellowship at Cleveland Clinic Foundation in Cleveland, Ohio. Dr. Derhgawen is certified in nephrology by the American Board of Internal Medicine and the National Board of Medical Examiners. He has professional affiliations with the American Society of Nephrologists, American College of Physicians, American Medical Association and Mississippi State Medical Association.